Sliced all carbs out of your diet? 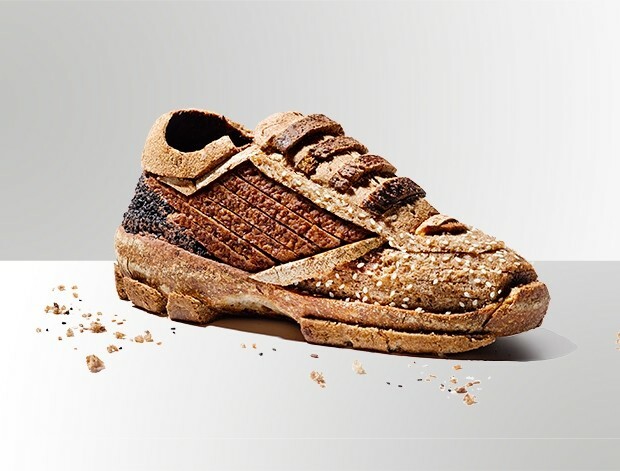 Die hard carb-fans needn’t lose all hope of a lean physique. Browse our list to taste the brighter side of beige food. Buns don’t kill people... To illustrate the point, health researchers nod to the people of pre-industrialised Asia, who stayed lean on what we’d consider a high-carb diet. Blame can instead be attributed to our sedentary modern lifestyles. Or your Greggs loyalty card. Celery contains just 2g of carbs per stalk, while milk carries 10g per 200ml glass. Most foods contain at least low levels of carbs. Any snacks claiming ‘zero carbs’ will have required more processing than the average Christopher Nolan plot. Scientists at Tel Aviv Uni found that caving in to sugar cravings early in the day can curb the urge to binge later. Researchers advise including protein too, so if it’s pastry you desire, best wash it down with a shake. Not the McDonald’s variety. Our cave-dwelling ancestors’ ability to cook starchy foods helped fuel our powers of cognition, according to The Quarterly Review of Biology. Your brain uses up 60% of the body’s blood-glucose, and carbs make this energy more readily available. A review in Nutrition & Metabolism concluded that a high protein intake has no adverse effects in healthy people. In fact, a PLOS One study suggests that going easy on the carbs can actually help your kidneys heal. Food can be a drug, according to the American Journal of Clinical Nutrition.In a study of overweight men, those who consumed high-GI carbs experienced activation in their ‘nucleus accumbens’ – a brain region triggered by narcotics and compulsive behaviours such as gambling. It’s time to start weaning yourself off the white powder. Glucose is your brain’s primary fuel source, reports Tufts Uni, so dropping carbs plugs its supply. It takes the brain three weeks to adapt to using alternative fuel sources. If you have a big work presentation coming up, think less egghead, more potato head. Here’s how you can justify your extra-large sub: a study conducted by Loughborough University scientists found that men who hit the good stuff before a 30K treadmill time trial were 10% faster than those who stuck to carb-light fare. However, if you’re looking to cut fat rather than seconds, consider abstaining: you’ll run slower, but burn off far more stodge from your waistline. While a banana will stop you keeling over, you want a snack that will help you rehydrate, while also sending amino acids to your muscles, says UT Austin. Your body’s ability to absorb protein increases by 50% after a workout – don’t waste this opportunity on honey-coated oats. Intermittent carb-cutting is the best route to take if you want to reduce both your weight and cancer-causing insulin spikes, according to the American Association for Cancer Research. Eating your eggs without soldiers and fish without chips two days a week is enough to see a difference. Consider it the 5:2 diet for realists. If you’ve woken up next to the carcass of a stuffed-crust disaster, a dose of probiotics will help your gut cope, reports Science Translational Medicine. No supplements to hand? Pick up a tub of live yoghurt on your walk of shame. Despite the myth that a carb-centric diet is carcinogenic, those who live in the world’s ‘Blue Zones’ – such as Sardinia, where the population have a longer-than-average lifespan – traditionally eat carb-heavy diets. They tend to focus on starchy veg and grains. We doubt the cronut is ‘a thing’ in Mediterranean fishing villages. There’s no benefit to cutting your carbs to 5% of your total calories, compared with 40%, says Arizona State Uni. In their study, weightloss of high and low-carbers was similar, but the less puritanical of them reported having more energy – and being less ‘hangry’. Though many preach that the later in the day you eat carbs, the more fat your body will store, there’s not a single scientific paper to back this up. Setting yourself a curfew can deter late-night bingeing, though. Eating carbs before a workout cuts your odds of sickness, reports Loma Linda Uni, supercharging your levels of cytokines: signalling molecules that regulate immunity. Slow- burning carbs such as oats are your medicine. Artificial sugars impair your brain’s ability to gauge how many calories are in the food you’re eating, Harvard School of Public Health found. You might be swerving the carbs, but your body will still be craving those calories. So drop the Diet Coke if you want to look more like the guy in the ads.